With this research project we aim to characterize the macroinvertebrate communities associated with the waterways that make up the hydroelectric system of the Serra da Estrela and get relevant ecological information for the definition of these habitat management proposals. It is also our purpose to collect information on the biology, ecology and conservation status of endemic, rare or protected species of macroinvertebrates in order to contribute to the international effort to safeguard their populations (see Annex 1 - species list and target groups). 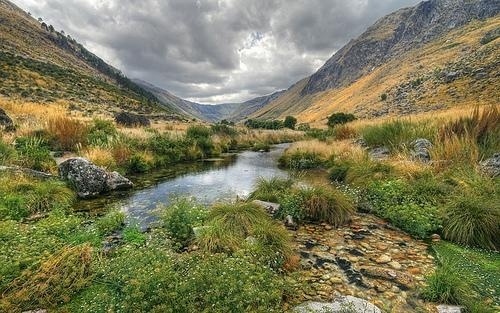 General objectives: a) To know and value the macroinvertebrate biodiversity associated with natural and artificial existing lagoons in the Serra da Estrela; b) Assess the extent to which the hydroelectric system of the Serra da Estrela contributes positively to the region's biodiversity; c) Evaluate the importance of each of the lakes selected for the conservation of endemic, rare or protected species by law (the Habitats Directive); d) Assessing the ecological status of each of the lakes in the Serra da Estrela, through the study of biomarkers groups, the application of biotic indices and analysis of water samples; e) Preparation of a management plan for the natural and artificial lakes of Serra da Estrela aimed at valuing and safeguarding of its Natural Heritage; f) To promote this project to the scientific, national and international community, and to publish the main results, particularly biodiversity management measures associated with the lagoons of the Serra da Estrela; g) Encourage the participation of local people in conservation of natural ecosystems and their biodiversity, highlighting the unique fauna of the watercourses of the Serra da Estrela. CISE - Interpretation Center of Serra da Estrela (Câmara Municipal de Seia); SPEN - Portuguese Society of Entomology; TAGIS - Conservation Center for Portuguese Butterflies; Azorean Biodiversity Group (CITA-A).